Those who didn't grow up in the 1980's and 1990's don't really know how special a time it was for video game based movies. Oh, there were only a few but they've always, mostly, held a special place for me. "Super Mario Bros." and "Street Fighter" were both movies I watched repeatedly in my youth, despite their seeming lack of care for the plot and general concepts of the games they were based on. 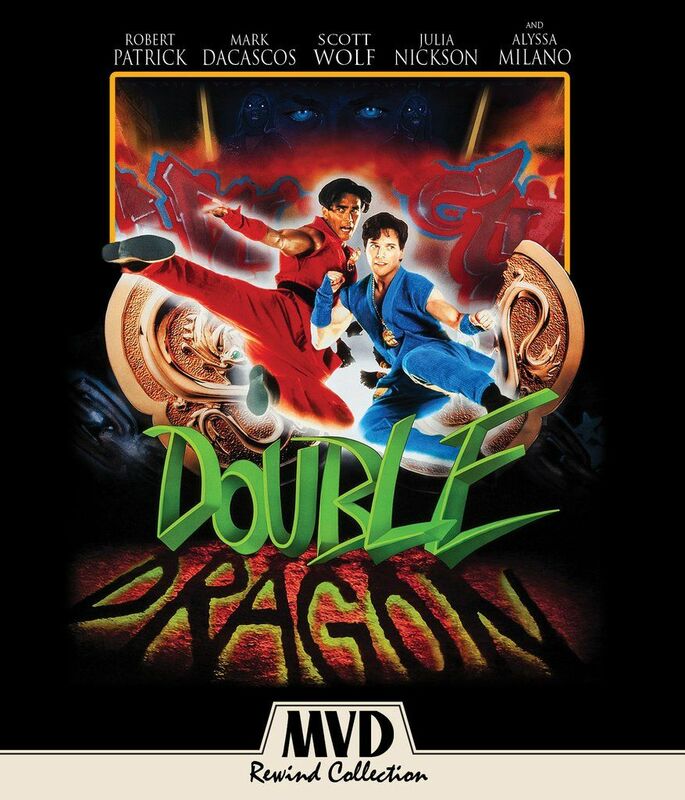 I didn't watch "Mortal Kombat" as much as the other two, but "Double Dragon" always stood out to me. Here was a movie that got it right. Here was a movie that I really felt did what it was supposed to do. 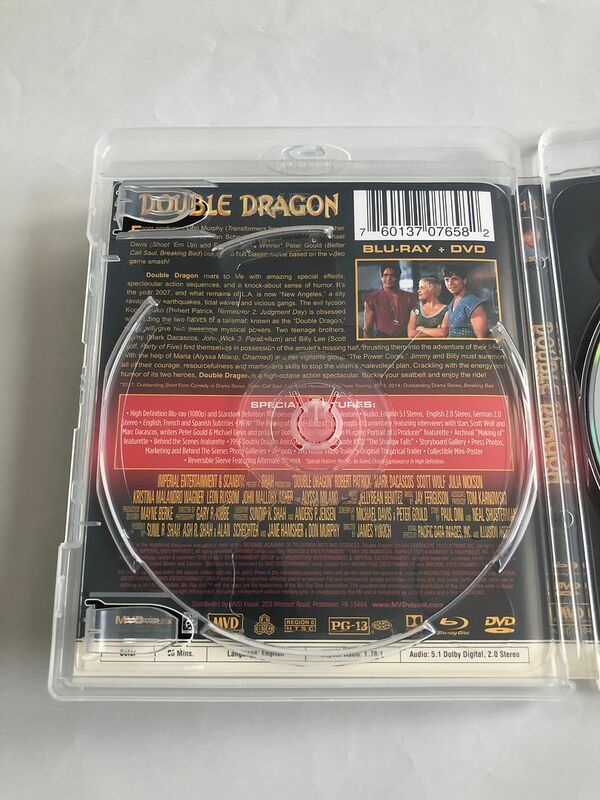 Rather than focus on where those other movies went wrong, let's focus on what "Double Dragon" got right. From the start, you should assume this is going to have a lot of kicks and flying punches and things like that because, well, that's the game. This is mainly an action film, as it delivers in that sense, and on top of that there is some drama/suspense as well as a little bit of comedy. Scott Wolf is in this and he's pretty goofy so it makes for some funny scenes, but I have always liked when he says if you drink the water you get diarrhea and your hair falls out. So this is the story of an evil Robert Patrick who tries to get two pieces of a medallion because when combined he gets even greater powers. The boys have to keep him from getting the second half (with the help of Alyssa Milano!) 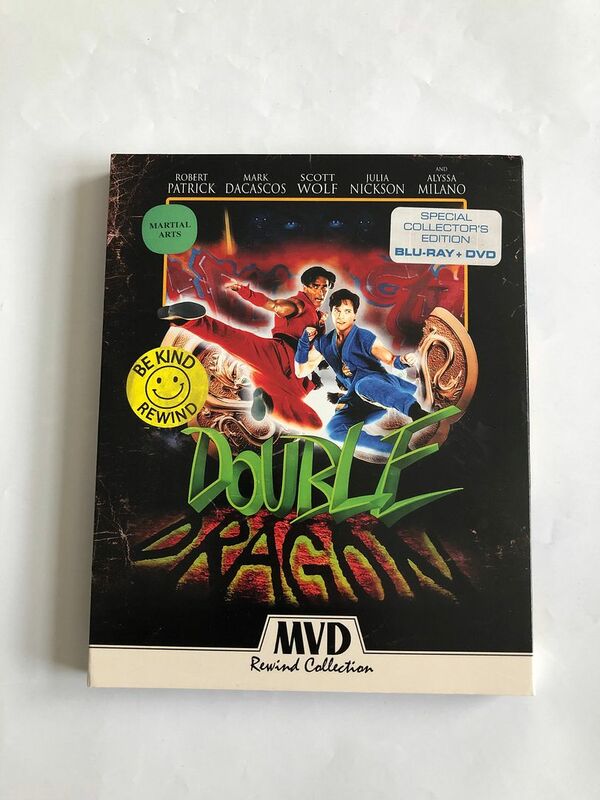 and ultimately they realize it's called Double Dragon because of the two of them (not the one Robert Patrick) and they get their fancy suits. It felt like they didn't actually fit into their roles until the end of the movie and so there should have been a sequel but I would think of this more as like a prequel to the video game. 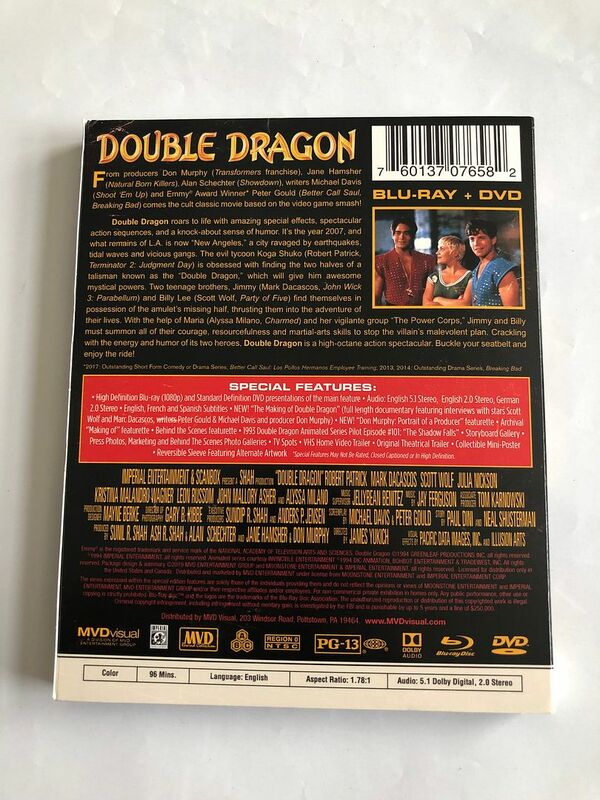 One of the special features of this Blu-Ray set is the first episode of the "Double Dragon" animated series is on here. Back in the 1990's it felt like everything had an animated series. If you were slightly popular as a movie, video game, Mr. T or something that could be turned into a cartoon they would do it! Looking back at a list now of shows which had animated series released after them (like Karate Kid, Back to the Future and others) is just wild compared to now but those shows were also so much better than what passes for animated series these days. 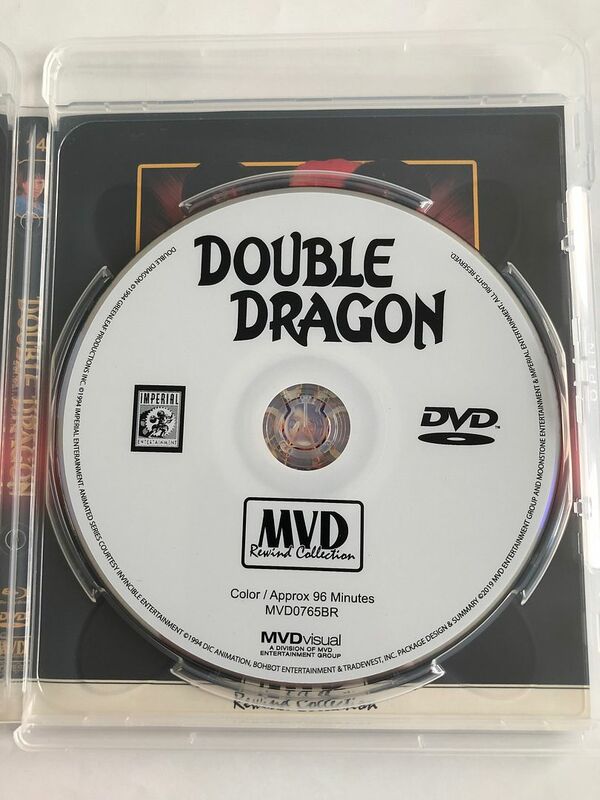 Though some people might not like this, I think that "Double Dragon" is the best video game movie to come out of the 1990's. Even though I think a movie such as "Super Mario Bros." was terrible I still have it on DVD and watch it every so often. 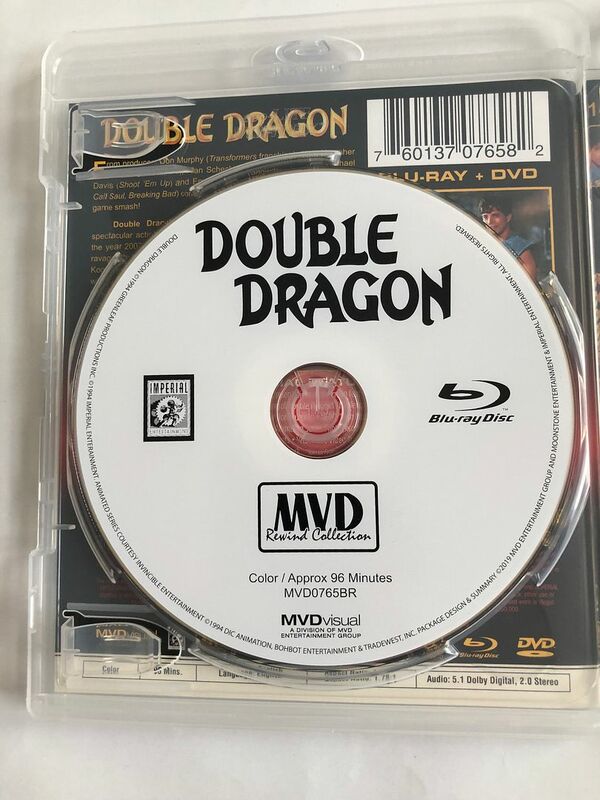 But "Double Dragon" just came the closest to being that movie that made video game movies cool and kind of helped us look past how much of a JCVD vehicle "Street Fighter" really was. 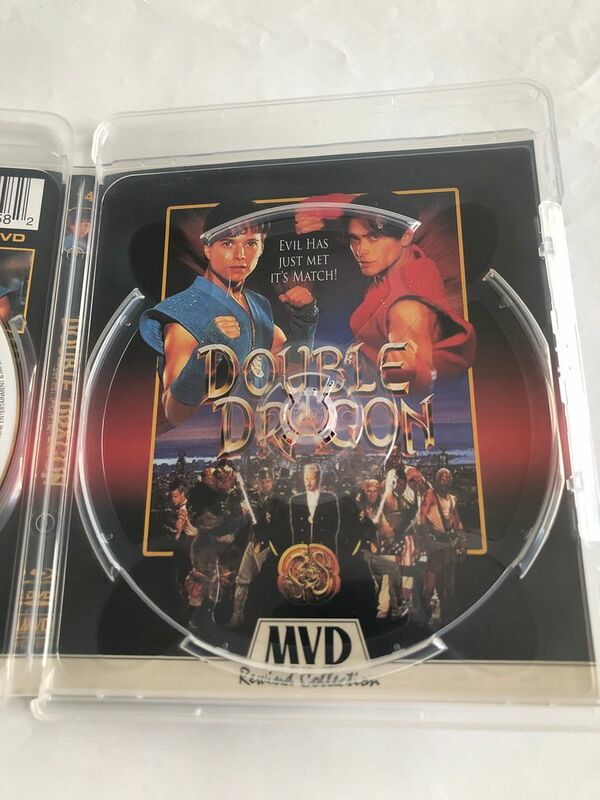 (But again, love "Street Fighter" too) You can say "Being the best is easy because those other movies are so bad" and I just tend to have this soft spot for movies from the 1990's- since I watched them so much- and so I feel like holding this one in such high regard is a big deal. 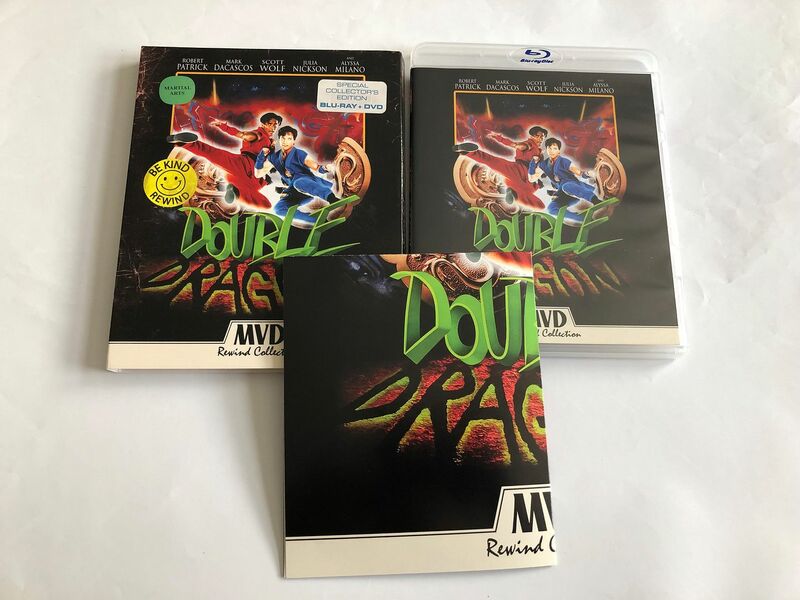 This special edition Blu-Ray comes with DVD, poster and a ton of bonus features which make it *the* way to buy this movie and experience it over and over again. 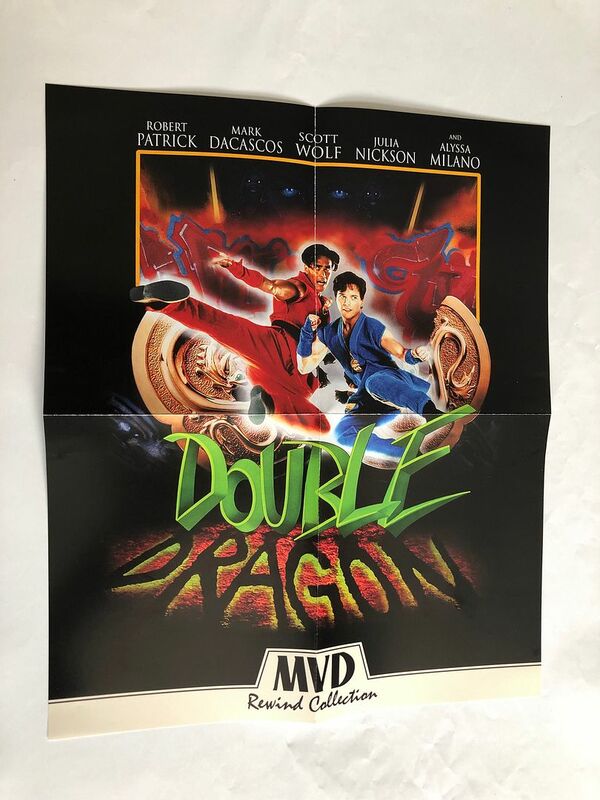 I wonder if anyone owns all of the MVD Rewind films that got this treatment and has a wall (or two) with all the posters displayed. Is it you? Send me a photo! I'd make a list of movies I'd like to see MVD Rewind give this treatment in the future ("Gleaming The Cube" would be at the top) but they seem to be reading my mind.